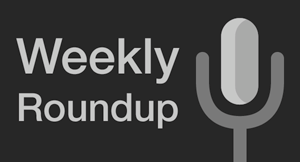 Here are the top stories in the US and Indian wireless markets this week. Its 1Q results reporting time in the US. This week both AT&T and Verizon reported their 1Q results. While as expected, both carriers did well in terms of net adds and revenues, there were a couple of themes that seem to be emerging. Firstly, it looks like the growth in postpaid subscribers is slowing down considerably. For instance, AT&T reported that they added only 512,000 new postpaid subs wile Verizon only added 423,000. This in turn points to the fact that prepaid might be finally gaining some much deserved traction in the market. A brief look at the various prepaid offerings available today clearly shows that these plans deliver tremendous value - especially when compared to their postpaid counterparts. Yes, the uber-cool devices that everyone's lusting for are still not widely available on prepaid yet, but this might change depending on whether 1Q's slowdown in postpaid is just a blip or whether it signifies a larger trend. It is definitely important to point out here that if what we are seeing is indeed a trend, Sprint seems to be perfectly poised to take advantage of it. We should probably find out more on Wednesday next week, when Sprint reports its 1Q numbers. Also important is the fact that this week, Walmart announced that it plans to roll out an ad campaign touting its Straight Talk service shortly. Straight Talk is a prepaid service that runs on the Verizon network, and is sold largely through Walmart. What I'd be interested in finding out is whether this new ad-campaign is a Walmart initiative - or whether the execs at Verizon just woke up and smelt the coffee? The second theme that I found interesting is that for the first time, both Verizon and AT&T disclosed the number of 'connected devices' on their networks. In layman's terms, connected devices are non-traditional wireless devices that run on a carrier's networks. E.g. : Amazon Kindle. Verizon reported that it has 7.3 Million of these devices on its networks whereas AT&T reported 5.8 Million devices. Connected devices are widely expected to be the next growth engine for the wireless industry. By how much you ask? This post on Chetan Sharma's blog should give you an idea. And its not just wireless carriers that are placing their bets on this growth. Lets take one type of 'connected devices' - car infotainment, as an example. RIM's purchase of QNX Systems and Ford's Sync AppLink, which is a voice control mechanism for smartphone apps, indicates that you should expect to begin seeing integration between your car and your smartphone by the end of the year. Can you imagine listening to your Pandora station while driving to work? How about listening to your favorite podcast? Once again, the 'connected devices' trend seems to favor Sprint. Sprint has traditionally been known to be the most innovative wireless carrier (though it had lost its way a bit in the past couple of years), and has always had a lions share of these connected devices on its networks. What is left to be seen is - how (and whether) Sprint will get its act together, leverage its 4G network, and make inroads into this market - or not. In other news, the Sprint Overdrive 4G is continuing to receive great reviews. While it is a well established practice in the industry to talk-down competitors products, I was surprised to see Verizon reps lying outright about the Overdrive. Shameful! Meanwhile, I thought the Sprint WiMax iPad case was both clever and sneaky. In device news this week, the Droid Incredible is rated as impressive, Sprint is rumored to be getting the BlackBerry 9650 on May 15th, T-Mobile is rumored to be getting the BlackBerry Bold 9700 in white on May 5th, and AT&T is apparently blocking employees vacations in June for the iPhone launch. Here's something we all know by now - Apple's next generation iPhone was outed by Gizmodo this week. As expected, terabytes of data (or more) has been created in the blogosphere about this - so I'll lay off this topic :) That said, I am definitely an admirer of how Apple incorporates the voice of the customer in almost all of its customer-facing operations. For example, I was recently reading how there is a correlation between (a) where Apple decides to open its retail stores, and (b) the propensity of customers in that area to buy Apple products. This isnt rocket science, but Apple's magic lies in its execution - to rise above individual priorities and fiefdoms (which there are bound to be tons of) and execute initiatives in the best interest of the company. I believe that it is because of Apple's disciplined execution that it is able to report blowout numbers every quarter. Well done, Apple! There is also growing evidence that the relationship between Apple and Google is getting thornier. The spat started with Apple blocking the Google Voice app from the Appstore. Then Eric Schmidt resigned from Apple's Board of Directors. And now we hear some tidbits every other week that point towards greater animosities between these two tech giants. For example - last week we heard that Apple is removing the Google branding from iPhone 4. Now we are hearing that Google’s free turn-by-turn navigation is not coming to the iPhone. So is the Microsoft Vs. Apple wars over? Is the new war between Apple and Google? And if yes, what are we - the customers - to expect in coming months? comScore reported that Android doubled its market share between November 2009 and February 2010, and that this growth is not showing any signs of slowing down. I completely agree with comScore's predictions - and its easy to see why. For example Dell is planning on releasing high end smartphones and tablets based on the Android platform, Android 2.2 is on its way, and finally, new entrants (into the US market) like ZTE with stated global ambitions are betting on Android. Conventionally - i.e. per well established industry dynamics as defined in the Porters Five Forces model - when one industry player develops a highly successful operating model, other industry players intensify competitive pressures against the leader. But so far, attempts by other players to dislodge Apple's and Android's growth trajectories aren't faring well. BlackBerry's new OS 6.0 is expected to be released soon but its already been rated as evolutionary rather than revolutionary. Windows 7 is some ways away from being launched, while WinMo is in the tank. Palm is still in a world of trouble - and might soon be bought by Lenovo or it might just license webOS. Symbian barely made a dent in the US. So where does all of this leave us? - For now the mobile OS wars in the US seem to be increasingly just a two player game. It is sometimes amusing how innovative Android fans can be. Apparently they have found a way to dual-boot the iPhone with either the iPhone or Android OS'es. On the BlackBerry font, here is an app that I'd consider buying - Dragon Dictation for the BlackBerry. Finally, here are a couple of links that might be valuable, especially if you are an App Developer. What Is the Secret of Mobile App Success? The 3G spectrum auction is dragging on. On the 11th day of bidding, the price of a pan-India license stood at Rs.72.68 Billion (about $1.6 Billion) which more than twice the base price of Rs.35 Billion. Recently, I read a great report that hypothesized that the 3G spectrum auction process was designed primarily to help the Indian government maximize its revenues than to help the industry. While I'm not usually a believer in conspiracy theories, the recent bid prices make it hard to ignore the authors point of view. The BWA auctions are slated to start shortly after the 3G spectrum auctions are completed. I bet the TD-LTE equipment makers and service providers cant wait! Here's another tidbit that I found to be both interesting and very surprising. Per data recently released by Google, India is ranked third among the countries which regularly request Google to remove unpalatable content. It is also among the top 20 countries worldwide involved in aggressive electronic monitoring of its citizens. I have realized that Indian wireless operators launch innovative circle-wise pricing schemes almost every single day. Therefore, I wont be covering pricing changes and market launches starting this week. So after cutting out the clutter, significant news includes Bharti's international aspirations. After completing its purchase of Zain's wireless assets in 15 African nations, Bharti is looking to replicate its low-cost Indian model in Africa. While the purchase has been going well in most part, regulatory approvals in each of the 15 markets are expected to be required in order to push the purchase through. Recent news point to the fact that this process might be hitting a rough patch in Congo and Nigeria. Also this week, Bharti launched its ‘Airtel World SIM’ which is a single GSM-based International SIM card that works seamlessly in 150 countries and supposedly saves its jet-setting customers upto 85% on International calls. This sounds a lot like TruPhone's Local Anywhere service to me. I have said this over and over in my posts, and I will say it again. All things considered, the Indian wireless market today is highly price sensitive. No wonder, carriers are perpetually tinkering with their pricing on a daily/weekly basis. In my opinion, this price sensitivity exists in most segments of the market - and the only reason we aren't seeing higher churn rates is because many subscribers are 'tied' to their mobile numbers (this is why I think MNP is going to completely change the market dynamics in India). Carriers therefore have been attempting to develop 'sticky' services that will hopefully get subscribers to stay. Airtel's Live Aarti and MTNL's 3G mobile TV streaming are two of many such innovative services that are being launched. I wonder how well Mobile Money will work in this environment.